Opioids like oxycodone, morphine, codeine, hydrocodone, and oxymorphone have a high overdose potential and high rates of abuse. 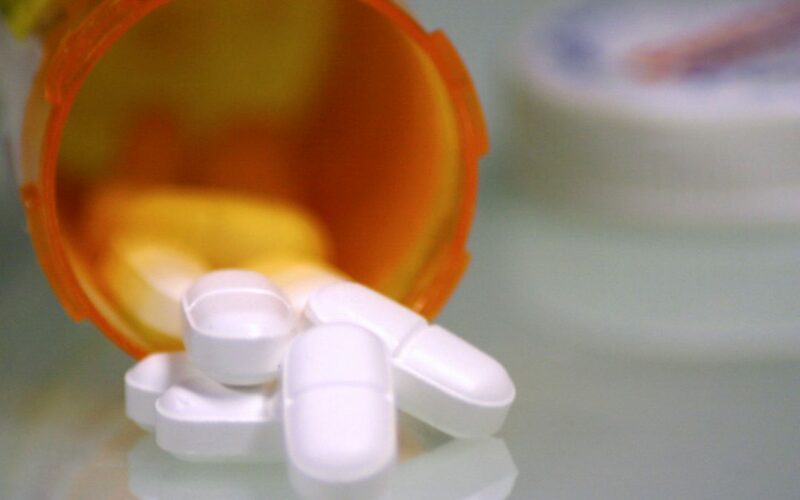 In the 1990s, pharmaceutical companies like Purdue Pharma misled doctors to think that synthetic opioids could be prescribed with minimal problems. The reality is that a high percentage of individuals who end up trying street heroin are introduced to opioids in a clinical setting. North America is now in the midst of a serious opioid overdose epidemic. Opioid dependence often leads to individuals taking increasingly higher doses of opioids in search of the euphoria associated with their use. If you or someone you love regularly takes opioids, it’s important to be aware of the signs of an impending overdose. Synthetic opioids are derived from poppy seeds to make potent central nervous system depressants. They bind to opioid receptors in the body to reduce the patient’s perception of pain. At the same time, opioids like oxycodone inhibit the respiratory drive by acting directly on the brain stem. The brain stem is the area of the brain that’s responsible for regulating the autonomic urge to breathe. Contrary to popular belief, it’s elevated carbon dioxide levels, not low oxygen levels, that are used to moderate respiration. When carbon dioxide levels in the blood become too high, the brain stem triggers the lungs to breathe. Breathing expels the excess carbon dioxide and oxygenates the blood before oxygen deprivation (hypoxia) can take effect. However, in the event of an opioid overdose, this instinct to breathe can become severely depressed. The brain stem may lose its ability to analyze carbon dioxide levels, resulting in potentially life-threatening carbon dioxide toxicity and hypoxia. The three most critical signs of opioid overdose are referred to as the “opioid overdose triad.” These include severe respiratory depression, significantly decreased level of consciousness and constricted pupils. Someone who’s overdosing on opioids can deteriorate rapidly. One moment, they may be fully aware of their surroundings and able to respond to questions in complete sentences. Minutes later, they may appear extremely lethargic and barely responsive. An opioid overdose patient may progress from extreme lethargy to stupor, coma, and death if left untreated. Pinpoint pupils are the third leg of the opioid overdose triad. When pupils are referred to as “pinpoint” it means that they’re fully constricted. The pupils of an opioid overdose patient will likely be unresponsive even to dramatic changes in light. As the patient begins to suffer from oxygen deprivation, the pupils may change from pinpoint to full dilation. At this point, their life is in immediate danger. Opioid overdose may also result in extreme weakness, muscle flaccidity, cold and clammy skin, and blue or purple lips and fingernails. However, you don’t have to wait until symptoms get this severe to take action. It’s important to stay vigilant for other preliminary side effects of heavy opioid use. Potential adverse effects of opioids include nausea, vomiting, headache, constipation, indigestion, and lightheadedness. Cognitive side effects may include confusion, sedation, nervousness, agitation, and disorientation. The person may experience noticeable cardiac symptoms including low blood pressure (hypotension), high blood pressure (hypertension), or chest pain (angina). Opioids often trigger a histamine reaction from the immune system. Signs of this may include flushing of the skin, itching, and dehydration. While the majority of these signs can be present without the risk of overdose, it’s important to note any sudden or dramatic changes in the person’s symptoms. Any rapid fluctuation in the patient’s response can be an indication that the body is failing to metabolize the drug effectively. The amount of opioids necessary to overdose depends largely on the strength of the opioid in question. Hydrocodone and morphine have roughly the same potency. Codeine is three times as strong as morphine, and oxycodone is 50% stronger than morphine. Fentanyl is approximately 80 to 100 times stronger than morphine. Fentanyl is thought to be largely responsible for the current rate of opioid overdoses. Illegally-manufactured fentanyl is frequently mixed with street drugs in unknown quantities. Extended-release tablets of synthetic opioids typically contain much higher drug content and therefore present a higher overdose risk. With many extended-release formulations, users can bypass the extended-released feature by crushing the tablet. The crushed pill can then be ingested or dissolved in liquid and injected. The amount of opioids necessary to overdose is significantly affected by the different metabolism of each person. Factors that influence lethal dosage include overall health, liver and kidney function, age, weight, body fat percentage, genetic tendencies, and pre-existing opioid tolerance. Certain individuals are predisposed to being able to tolerate higher doses of opioids more effectively. Others may be hypersensitive to opioids, and even low to moderate doses may trigger a histamine response. In general, larger patients require higher doses of drugs to achieve the desired therapeutic effects. Smaller individuals are more prone to experiencing an overdose. Age is a factor due to the overall slower metabolism that typically accompanies old age. A slower metabolism can lead to extended elimination times and elevated concentrations of opioids in the blood plasma. Poor liver and kidney function can have a similar effect. The liver is primarily responsible for processing most opioids. A liver malfunction can cause the drugs to build up in the body, leading to potentially life-threatening opioid toxicity at high doses. In the event of an opioid overdose, immediate medical attention will be necessary. Emergency medical staff will support the patient’s breathing while administering an opioid antagonist to reverse the effects of the drugs. The priority is to secure and protect the patient’s airway to ensure adequate respiration. If the patient is still conscious, a bag-valve mask may be used to assist breathing. If the patient is unconscious, an endotracheal tube may need to be inserted into the patient’s throat. Once the airway is secured, an opioid antagonist like naloxone may be administered. Naloxone rapidly negates the effects of opioids by breaking their bonds to opioid receptors in the body. The administration of naloxone can precipitate the onset of severe post-acute opioid withdrawals. If you or someone you love is struggling with opioid dependence, Stonewall Institute Treatment Center is available to answer any questions you may have. Call them today at 602-535 6468 or send an email to info@stonewallinstitute.com for more information about the road to recovery.